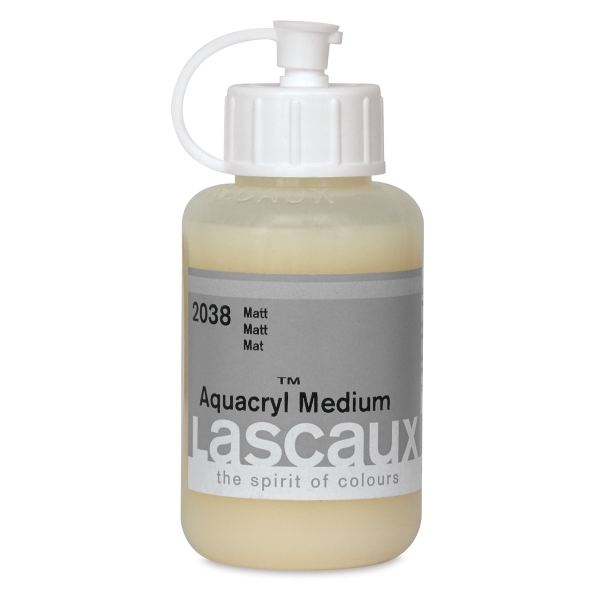 These mediums are specially formulated for use with Lascaux Aquacryl, the revolutionary paint that combines the smooth, fluid viscosity of acrylic with the transparency and brilliance of watercolor. Matte Medium — Based on the same binder used in Lascaux Aquacryl colors, this medium dries to a velvety matte finish that is not water resoluble. It is not recommended for use with other paint brands.